Last week we went for dinner to Ajay’s aunt and uncle’s house. 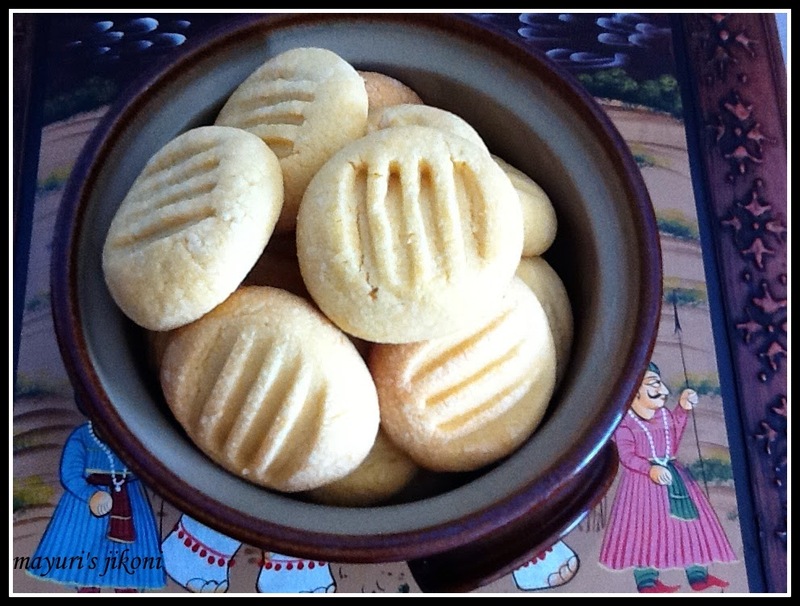 I couldn’t go empty handed to their house, so I decided to try out one of the bookmarked recipes, custard cookies.I can’t remember from where I must have written this recipe. 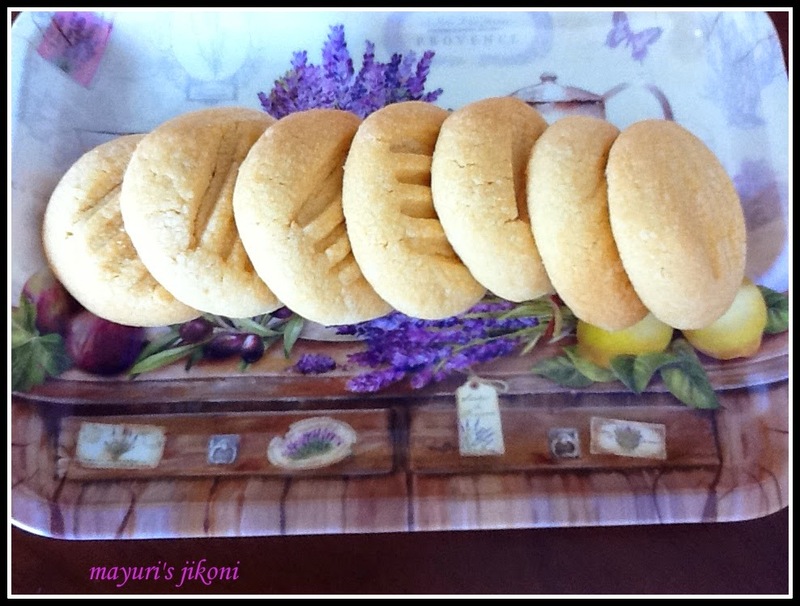 I am so glad that I finally made these cookies. I loved how soft they turned out with the taste of custard. The light lemony colour made the cookies look very attractive but don’t think my photos have done justice. After dinner, we got talking about how family and friends of yesteryear valued relationships. Be it as friends, uncles, aunts, parents, grandparents, brothers or sisters, there was commitment, we helped each other without question, we took care of their children just as our own. What is happening to these values in this modern age? Have we become so self centered that we do not value relationships? Children have no time for parents, aunts and uncles don’t even know the names of their nieces and nephews, grandparents yearn for just that one loving call or message from grandchildren. If people do not value relationships and build a cocoon around their own self or lives, who is there for you when you really need help, is there anyone you can say with confidence that will be by your side whatever time of day or night when you really need them? If the answer is no, then think deeply and start taking small steps to build an everlasting relationship. Money will not buy you hugs, understanding, warmth and love. Lets bring back compassion, respect for others and understanding back into our lives. Lets make an effort to build up relationships. Life will take on a new meaning.Lets not become a “me” society. Reach out to people you know, help them, guide them. Their appreciation or blessings are worth more than gold or diamonds. If we take some time to cook a meal for someone, spend time giving love and care to elders, help and guide young ones, the reward is nothing but loads of love and hugs. Sieve flour and custard powder together in a bowl. In another bowl cream sugar and butter together till it is soft and creamy. Take about a tablespoonful of the dough and roll into a ball. Place it on a greased baking tray. Press the ball gently with the back of a fork. Repeat steps 6 to 8 with the remaining dough. Bake for 10 to 12 minutes till the edges turn light pink. Remove the tray from the oven. Place the cookies on a wire rack to cool. Scrumptious cookies, i dont mind munching some.